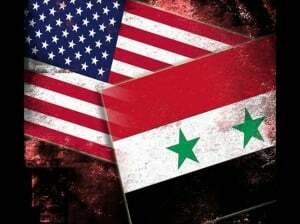 Should the US Become an Ally of Al Qaeda in Syria? What the Times didn’t say in that context was that Nusra Front is Al Qaeda’s affiliate in Syria, an omission perhaps explained because this additional information would disrupt the righteous tone of the article, accusing Russia of bad faith in attacking rebel groups other than the Islamic State. But the Russians had made clear their intent was to engage in airstrikes against the mélange of rebel groups in which Al Qaeda as well as the Islamic State played prominent roles. The Times and the rest of the mainstream U.S. media are just playing games when they pretend otherwise. Plus, the reality about Syria’s splintered rebel coalition is that it is virtually impossible to distinguish between the few “moderate” rebels and the many Sunni extremists. Indeed, many “moderates,” including some trained and armed by the CIA and Pentagon, have joined with Al Qaeda’s Nusra Front, even turning over U.S. weapons and equipment to this affiliate of the terrorist organization that attacked New York and Washington on Sept. 11, 2001. Lest we forget it was that event that prompted the direct U.S. military intervention in the Middle East. However, in recent months, the Israeli government and its American neoconservative allies have been floating trial balloons regarding whether Al Qaeda could be repackaged as Sunni “moderates” and become a de facto U.S. ally in achieving a “regime change” in Syria, ousting President Bashar al-Assad who has been near the top of the Israeli/neocon hit list for years. A key neocon propaganda theme has been to spin the conspiracy theory that Assad and the Islamic State are somehow in cahoots and thus Al Qaeda represents the lesser evil. Though there is no evidence to support this conspiracy theory, it was even raised by Charlie Rose in his “60 Minutes” interview last Sunday with Russian President Vladimir Putin. The reality is that the Islamic State and Al Qaeda have both been leading the fight to destroy the secular Assad government, which has fought back against both groups. The primary dispute between Al Qaeda and the Islamic State, which began as “Al Qaeda in Iraq,” is when to start a fundamentalist caliphate. The Islamic State believes the caliphate can begin now while Al Qaeda says the priority should be mounting more terrorist attacks against the West. Yet, if Damascus falls, the two groups could both get a measure of satisfaction: the Islamic State could busy itself beheadings the “heretics” while Al Qaeda could plot dramatic new terror attacks against Western targets, a grim win-win. One might think that the U.S. government should focus on averting such an eventuality, but the hysterical anti-Russian bias of The New York Times and the rest of the mainstream media means that whatever Putin does must be cast in the most negative light. On Thursday, one CNN anchor ranted about Putin’s air force attacking “our guys,” i.e., CIA-trained rebels, and demanded to know what could be done to stop the Russian attacks. This frenzy was fed by the Times’ article, co-written by neocon national security correspondent Michael R. Gordon, a leading promoter of the Iraq-WMD scam in 2002. The Times’ article pushed the theme that Russians were attacking the white-hatted “moderate” rebels in violation of Russia’s supposed commitment to fight the Islamic State only. But Putin never restricted his military support for the Assad government to attacks on the Islamic State. Indeed, even the Times began that part of the story by citing Putin’s quote that Russia was acting “preventatively to fight and destroy militants and terrorists on the territories that they already occupied.” Putin did not limit Russia’s actions to the Islamic State. Unless The New York Times no longer believes that Al Qaeda is a terrorist group, the Times’ phrasing doesn’t make sense. Indeed, Al Qaeda’s Nusra Front has emerged as the lead element of the so-called Army of Conquest, a coalition of rebel forces which has been using sophisticated U.S. weaponry including TOW missiles to achieve major advances against the Syrian military around the city of Idlib. The weaponry most likely comes from U.S. regional allies, since Saudi Arabia, Turkey, Qatar and other Sunni-led Gulf states have been supporting Al Qaeda, the Islamic State and other Sunni rebel groups in Syria. This reality was disclosed in a Defense Intelligence Agency report and was blurted out by Vice President Joe Biden. Al Qaeda’s Nusra Front also has benefited from a de facto alliance with Israel which has taken in wounded Nusra fighters for medical treatment and then returned them to the battlefield around the Golan Heights. Israel also has carried out airstrikes inside Syria in support of Nusra’s advances, including killing Hezbollah and Iranian advisers helping the Syrian government. The Israeli airstrikes inside Syria, like those conducted by the United States and its allies, are in violation of international law because they do not have the permission of the Syrian government, but those Israeli and U.S. coalition attacks are treated as right and proper by the mainstream U.S. media in contrast to the Russian airstrikes, which are treated as illicit even though they are carried out at the invitation of Syria’s recognized government. Ultimately, President Barack Obama will have to decide if he wants to cooperate with Russia and Iran in beating back Al Qaeda, the Islamic State and other jihadists – or realign U.S. policy in accord with Israel’s obsession with “regime change” in Syria, even if that means a victory by Al Qaeda. In other words, should the United States come full circle in the Middle East and help Al Qaeda win? Preferring Al Qaeda over Assad is the Israeli position – embraced by many neocons, too. The priority for the Israeli/neocon strategy has been to seek “regime change” in Syria as a way to counter Iran and its support for Lebanon’s Hezbollah, both part of Shia Islam. According to this thinking, if Assad, an Alawite, a branch of Shia Islam, can be removed, a new Sunni-dominated regime in Syria would disrupt Hezbollah’s supply lines from Iran and thus free up Israel to act more aggressively against both the Palestinians and Iran. For instance, if Israel decides to crack down again on the Palestinians or bomb Iran’s nuclear sites, it now has to worry about Hezbollah in southern Lebanon raining down missiles on major Israeli cities. However, if Hezbollah’s source of Iranian missiles gets blocked by a new Sunni regime in Damascus, the worry of Hezbollah attacks would be lessened. Israel’s preference for Al Qaeda over Assad has been acknowledged by senior Israeli officials for the past two years though never noted in the U.S. mainstream media. In September 2013, Israel’s Ambassador to the United States Michael Oren, then a close adviser to Israeli Prime Minister Benjamin Netanyahu, told the Jerusalem Post that Israel favored the Sunni extremists over Assad. “The greatest danger to Israel is by the strategic arc that extends from Tehran, to Damascus to Beirut. And we saw the Assad regime as the keystone in that arc,” Oren told the Jerusalem Post in an interview. “We always wanted Bashar Assad to go, we always preferred the bad guys who weren’t backed by Iran to the bad guys who were backed by Iran.” He said this was the case even if the “bad guys” were affiliated with Al Qaeda. So, that is the choice facing President Obama and the American people. Despite the misleading reporting by The New York Times, CNN and other major U.S. news outlets, the realistic options are quite stark: either work with Russia, Iran and the Syrian military to beat back the Sunni jihadists in Syria (while seeking a power-sharing arrangement in Damascus that includes Assad and some of his U.S.-backed political rivals) — or take the side of Al Qaeda and other Sunni extremists, including the Islamic State, with the goal of removing Assad and hoping that the mythical “moderate” rebels might finally materialize and somehow wrest control of Damascus. Though I’m told that Obama privately has made the first choice, he is so fearful of the political reaction from neocons and their “liberal interventionist” pals that he feels he must act like a tough guy ridiculing Putin and denouncing Assad. The danger from this duplicitous approach is that Obama’s penchant for talking out of multiple sides of his mouth might end up touching off a confrontation between nuclear-armed America and nuclear-armed Russia, a crisis that his verbal trickery might not be able to control. Investigative reporter Robert Parry broke many of the Iran-Contra stories for The Associated Press and Newsweek in the 1980s. You can buy his latest book, America’s Stolen Narrative, either in print here or as an e-book (from Amazon and barnesandnoble.com). You also can order Robert Parry’s trilogy on the Bush Family and its connections to various right-wing operatives for only $34. The trilogy includes America’s Stolen Narrative. For details on this offer, click here.